TAUNTON, Massachusetts—May 24, 2017—Royal Contract Lighting announced today that it has created hundreds of custom lighting pieces for the Ilani Casino Resort. The 368,000 square-foot, $510 million entertainment center, a joint effort of the Cowlitz Indian Tribe and Salishan-Mohegan LLC, is located in Washington State near Vancouver and Portland OR. 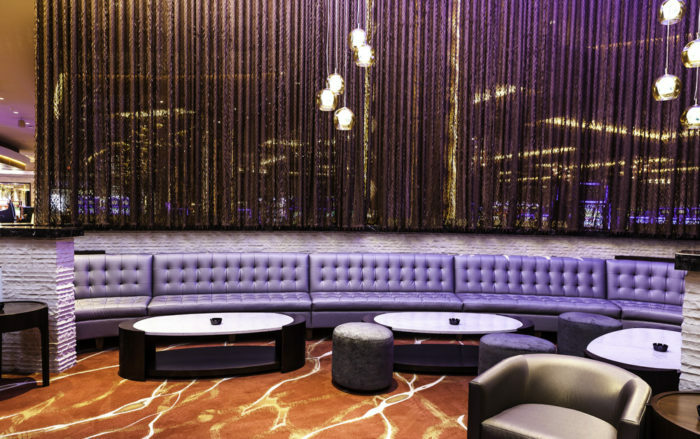 Fanto Group, which provides decorative, architectural, interior/exterior electric and gas commercial lighting to the hospitality and commercial markets, chose Royal Contract Lighting for the project. 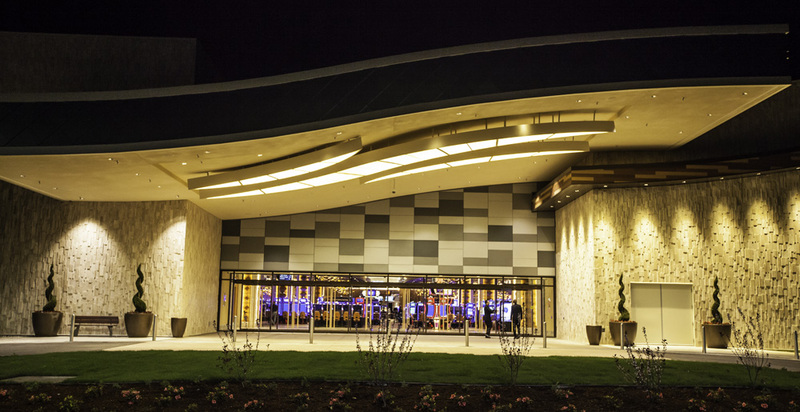 Friedmutter Group designed the 368,000 square foot casino resort to reflect the culture of the Northwest and pay tribute to the heritage of the Cowlitz Tribe. The facility incorporates stone, wood, and glass and offers sweeping views. In addition to the 100,000 square-foot gaming space, which includes 2,500 slots and 75 gaming tables, there are 15 different restaurants, bars, and retail shops, as well as entertainment venues. 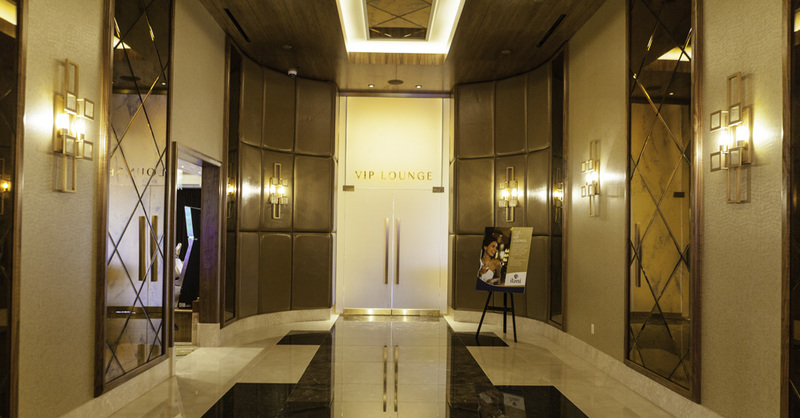 Royal Contract Lighting created hundreds of pieces for the facility’s lighting, including 12 enormous fixtures for the resort’s outdoor ceilings. Designed in the form of waves, the 3 largest measure 49’ long and weigh in at approximately 1,800 pounds each. For the entry portal, Royal Contract Lighting created 10 chandeliers made of curved art glass that was overlapped and layered to achieve a woven effect. Sizes vary, with the largest being 76” high and weighing 1,000 pounds. Glass also features prominently in the 3 triple-pendant fixtures of hand-blown Venetian art glass created for the VIP lounge. 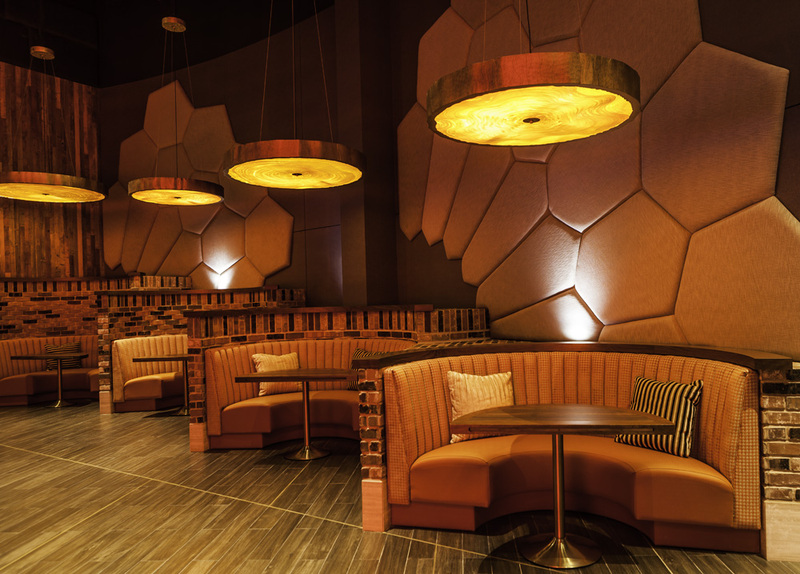 The entertainment lounge was outfitted with 15 pendant light fixtures designed to resemble slices of tree trunks. These fixtures, with frosted opal-white acrylic panel covers and bronze details, vary in size, with the largest being 66” and adjustable up to a height of 114”. 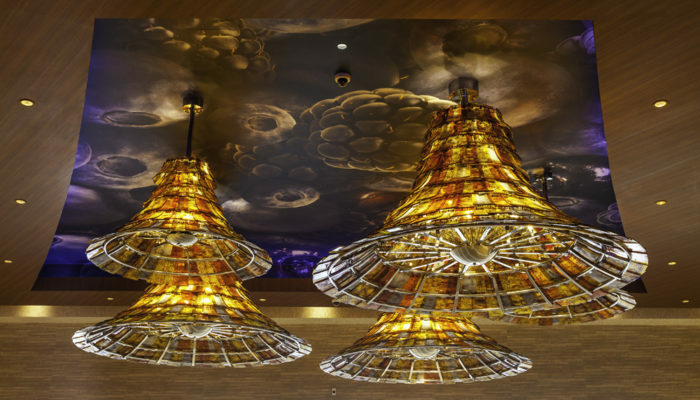 The 36 aquatic-themed chandeliers built for the casino are each made up of 50 11” by 5” hand-blown amber-colored glass fish; in their entirety, the chandeliers are 106” long and 92” high. Nearly three dozen vertical basket clusters with tapered cherry-wood ribs hang above the slot machines. 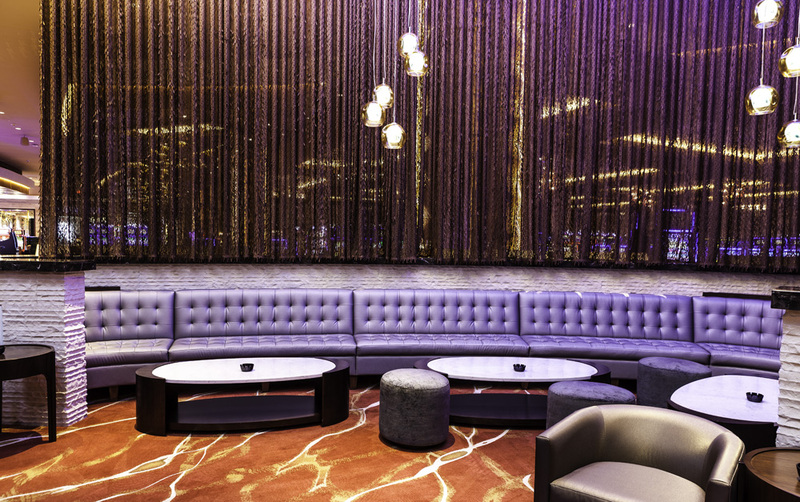 The casino bar is outfitted with eight 24” by 128” cluster pendants, each consisting of 5 concave and convex hand-blown glass pieces hand-paddled to create an organic appearance. For the ceiling of the casino’s high-limit section, Royal Contract Lighting fabricated a 720” long, 84” wide, 60” high 12,000-pound chandelier made up of dangling multitone and textured glass “kebabs.” The overall effect is a subtle shimmering curved edge with a multilevel bottom surface. Royal Contract Lighting also created seven 14” by 4” by 36” wall sconces out of natural brushed brass with clear, textured glass. 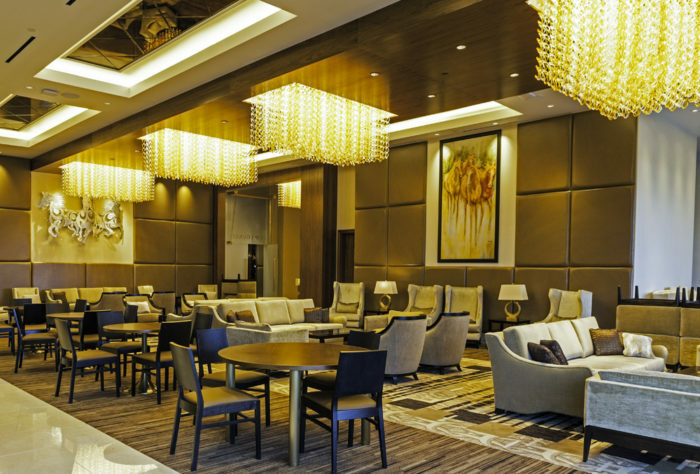 Royal Contract Lighting offers sophisticated custom lighting solutions for hotels, casinos, restaurants, boutique retailers, and public facilities worldwide. 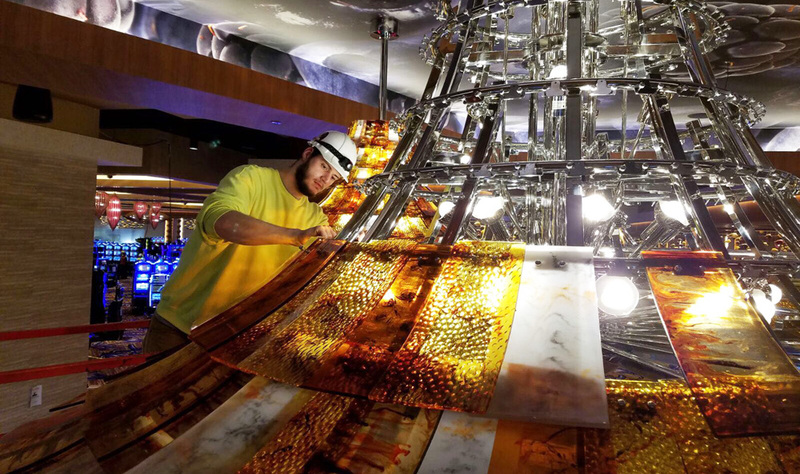 In-house engineering and manufacturing departments collaborate with architects and interior designers to provide meticulously crafted custom-fabricated lighting that meet exacting budgetary and production requirements. Manufacturing facilities in the United States and China enable Royal Contract Lighting to source the highest-quality raw materials at the best price, shorten manufacturing time, and provide superior service. The global sales team works closely with customers in major U.S. cities and throughout Europe, the Middle East, and Asia.